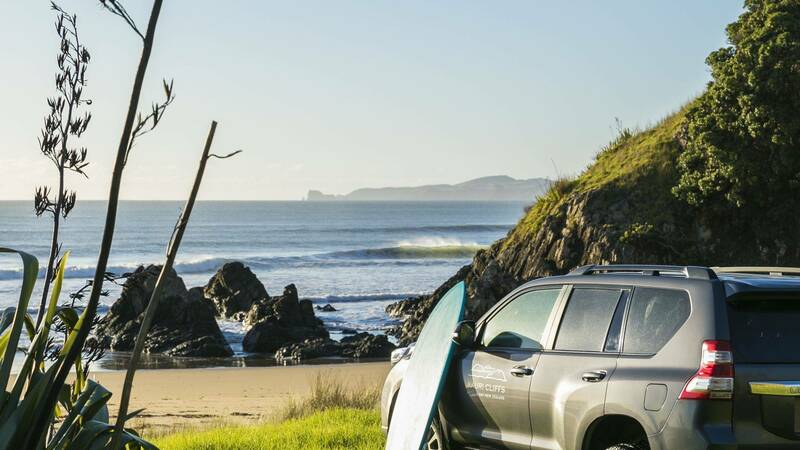 Surf some of New Zealand’s most beautiful untouched scenery including Kauri Cliffs. It is as though nature designed the Northland coastline with surfers in mind. Tiny coves, long sandy beaches, river mouths, point breaks, sandbars and reefs . . . all within a short drive. Enjoy a two-hour beginner’s lesson at Kauri Cliffs or an all-day Surf-safari of Northland beaches.